This is no Boy Scout knife. 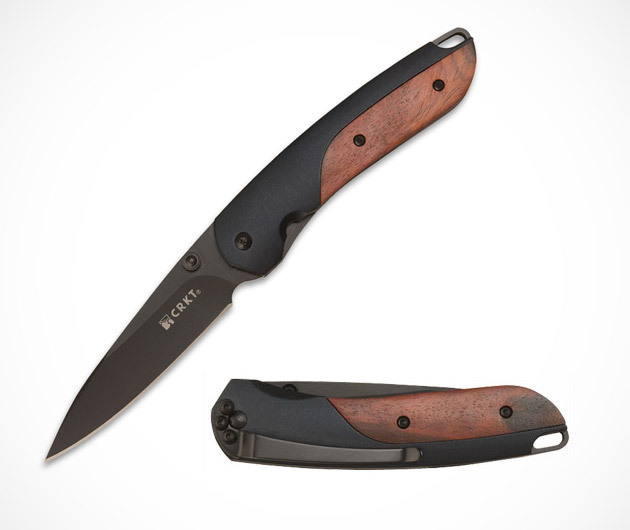 The CRKT Delegate ($60) is a classically designed knife made of natural materials that's a little too intense for kids. It's got a clever unlocking mechanism that allows for a swift, one handed motion and you're ready to go. The CRKT Delegate has a stainless steel blade that's just a touch over three inches.